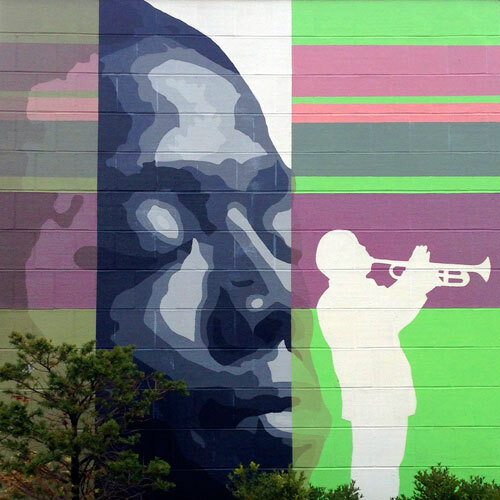 The mural entitled The Face of the Arts was painted by Tim Parsley and a team of ArtWorks apprentices in 2007 on the corner of Central Parkway and Race St. in downtown Cincinnati. 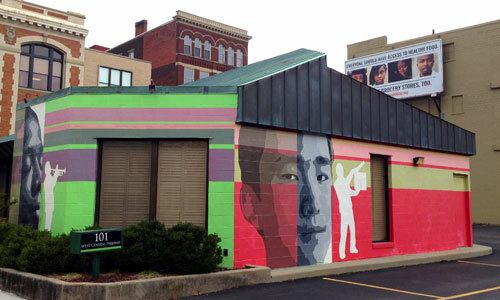 The canvas is an undistinguished one-story building housing a law office, whose surfaces have been transformed with portraits of the apprentices who painted this mural, along with silhouettes engaged in creative pursuits. 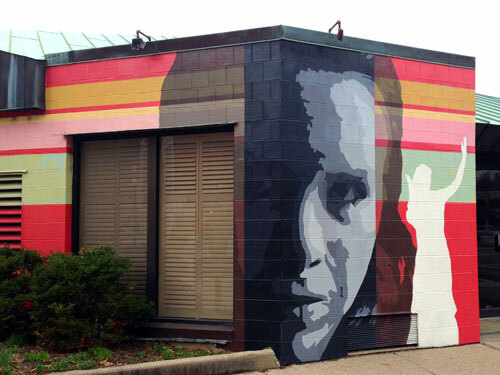 The mural is across the street from the famous School for Creative & Performing Arts, so the subject matter is most fitting. great post as always. thanks! 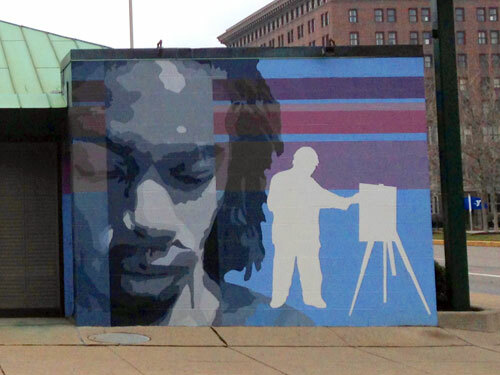 I wonder what was the very first mural that ArtWorks painted? Because this is the first one I remember. 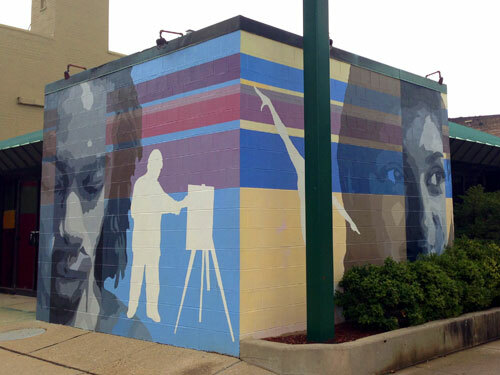 2007 was the first year for ArtWorks murals, so this was one of the first. Reblogged this on the stepping of single fighter.